It is very important to have healthy gums. The gums and bone surrounding your teeth form the foundation in which the teeth lie. If your gum health deteriorates then you could end up losing your teeth if the condition is left unchecked. 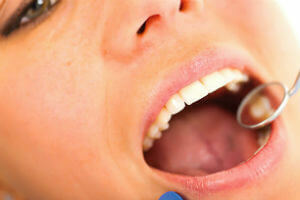 It is also important to maintain good gum health if you have had any previous treatment in your mouth. This is particularly important in treatments like Implants, bridges, veneers or braces. Infections in the mouth are commonly caused by the same bacteria. Thus, when these infections arise, they can affect your teeth, gum and/or jawbone. Hence, it is imperative to look after your mouth in a way that keeps these infections at bay. Infections can also arise around dental implants, called Peri-Implantitis. Infections of your gum can be mild as in Gingivitis, or more advanced as in Periodontitis. Both Gingivitis and Chronic Periodontitis are different parts of a spectrum of conditions called Gum Disease. Regular removal of bacteria, plaque and tartar professionally by a Hygiene Therapist is essential to maintain healthy gums. It is important that you have a customised approach to either improving or maintaining your gum health. For this reason, our dentists and Hygiene Therapists will formulate a treatment plan of action that is unique to your condition and mouth. Your journey to better oral health will start off with a Hygiene Consultation. People that have different treatments may require a different method of cleaning. A standard way of brushing or cleaning your teeth is now no longer going to produce the best results for you. For instance, those that have had dental implants will require a different focus of cleaning than those with braces or bridgework. Also, people who have had a smile makeover will be using different techniques of cleaning to produce the most optimal results. There are now numerous techniques and tools on the market that you can easily use at home to clean your own teeth. For this reason, Your Dental Hygiene Visit becomes crucial in the longevity of both your treatment and teeth. If a person does not look after their mouth according to the type of mouth they have, then gum disease could easily develop. This can then cause further complications. 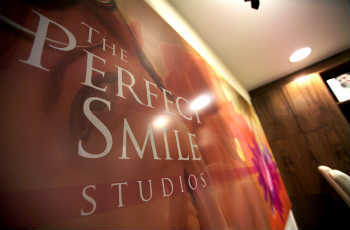 Our dentists will formulate a customised Treatment plan for you. The Hygiene therapist will then follow this prescribed and highly compatible plan of action. You will be given not only oral hygiene advice but also dietary advice too - the complete package of how to care for your own mouth. Sometimes, you may require more advanced care or specialist treatment in order to eliminate gum infection. This is especially true if you are not responding to the usual protocols or have resistant bacteria. In these cases we will refer you to our Specialist Periodontists for a Periodontal Consultation. They have the ability to carry out more complex treatment that requires a higher level of skill and experience. After treatment, all our patients are advised to continue with a maintenance program with our Hygiene Therapist to continue to keep their gums and teeth healthy and stable. However, again this is very prescriptive to the specific case at hand. For more complex advanced gum problems we recommend simple and effective treatment using a dental laser. Laser energy kills the bacteria that actually causes gum disease. There will be better healing of the gum pockets. The treatment is quick, painless and safe. We work in collaboration with various periodontists that are specialist in the use of lasers. 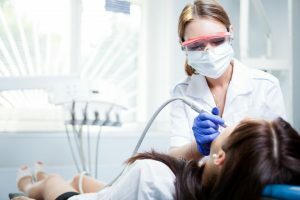 Laser treatment of the gums provides a minimally invasive approach to the treatment of gum disease since the actual procedure is not as traumatic as current surgical procedures. This also improves the healing after the treatment with less gum recession. How do I start my journey of gum health? The process starts with a FREE discovery consultation where we discuss your needs and requirements to help you understand the possibilities. Bad breath is a difficult subject to approach, even with a good friend or family member. There are many reasons for bad breath such as eating spicy foods and garlic, and inadequate oral hygiene. Once you have had your consultation or examination appointment with either the Hygiene Therapist or a dentist, you may be required to book an appointment for a hygiene visit. If your initial assessment and examination showed that you had any level of gum disease that included a form of periodontitis then you may be placed on a Periodontal Program that would be able to address this condition. We are very fortunate to have hygiene therapists operate our hygiene department. They are an important part of the overall clinical team integrating their oral health expertise to provide the optimal solutions for our patients. As a valued patient of the Perfect Smile Studios, we would like to introduce you to our dental plan called Privilege Plan – providing additional benefits for you and your family and making your regular appointments and any general dental treatment or cosmetic dentistry that may be required.